Although Superman is only referred to or hazily seen on Supergirl, many elements from the Man of Steel’s mythology play key roles on his cousin’s TV show, from Jimmy Olsen and Cat Grant being main characters to Jimmy’s signal watch. 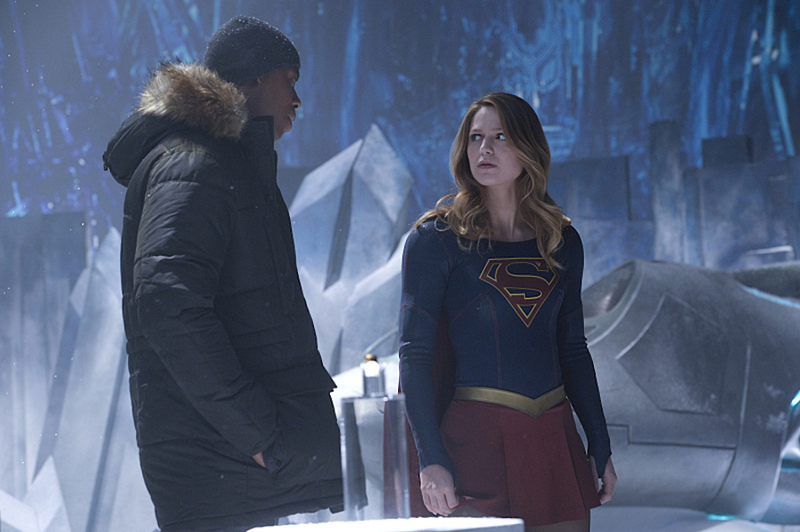 Next week, Supergirl is giving fans another classic feature of Superman’s life when Kara Zor-El and Jimmy make their way to his Fortress of Solitude, and now have our first look at Kal-El’s home away from home. 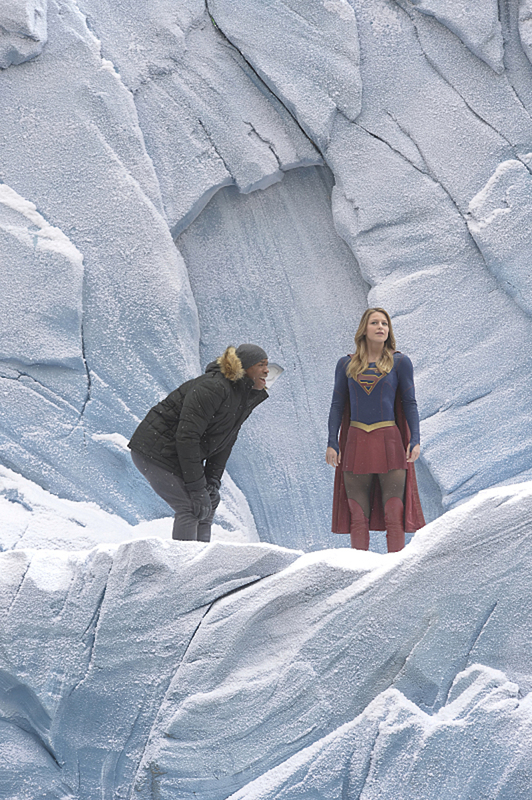 New photos of next week’s Supergirl episode, appropriately titled “Solitude,” show Kara and Jimmy exploring Kal-El’s Arctic hideout. 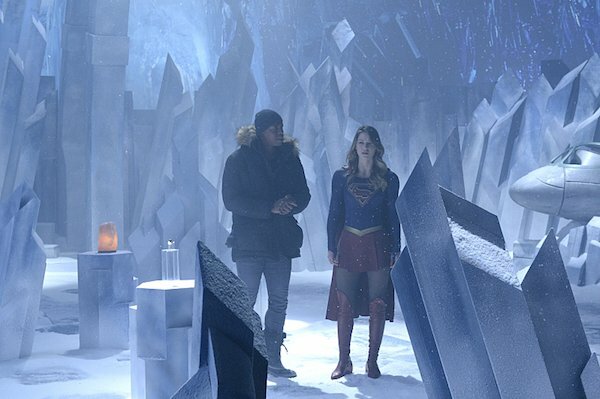 Like most versions of the Fortress of Solitude, this one appears to have been constructed out of Kryptonian crystals within an icy foundation, though rather than being lavishly decorated, there’s only a few items here and there on podiums. Of course, this is just one room in the sprawling base. Who knows what Superman’s keeping on display in its other areas. In addition to the podiums and that familiar Kryptonian control panel, we also see the ship that Superman arrive to Earth on as a baby. Kara and Jimmy will go to the Fortress in Supergirl’s 15th episode when a new villain named Indigo makes her way to National City. Indigo, played by former Supergirl Laura Vandervoort, is an alien who looks like Mystique from the X-Men movies, but her real talent lies in being able to transfer her consciousness to the Internet. An escapee of Fort Rozz, she’ll use her ability to unleash chaos, and if that wasn’t enough, she also has a connection to Supergirl’s past. 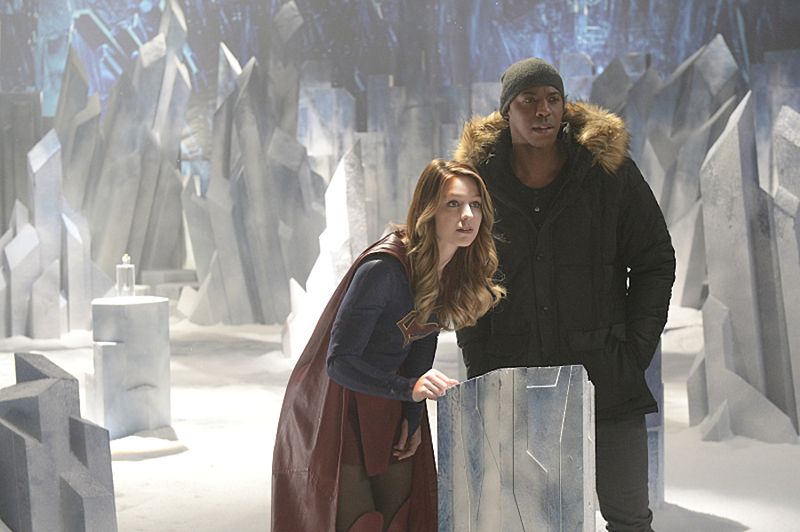 In order to defeat Indigo, Kara and Jimmy will go to the Fortress of Solitude to obtain the proper knowledge. Since that place basically impenetrable, one would imagine Superman either unlocked it for them ahead of time or Jimmy knows how to get in, whether it’s via some kind of sensor or getting Kara to lift that giant key. 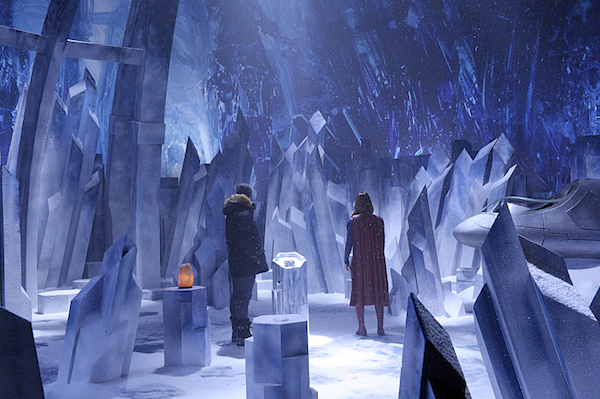 The Fortress of Solitude was introduced in the comics in 1958’s Action Comics #241, and has typically been located in the Arctic. Since its location isn’t known to the public (not to mention not easily accessible), it serves as his getaway for when he needs alone time, and he only brings his closest friends and loved ones there. The Fortress also where he keeps treasured artifacts and items (occasionally even alien life forms) from his missions, and it usually features giant statues of Jor-El and Lara, his Kryptonian parents. The Fortress of Solitude has appeared in numerous animated series, while in live action, it’s been seen in Smallville, the first two Christopher Reeve Superman movies and 2006’s Superman Returns. Supergirl airs Mondays at 8 p.m. EST on CBS.